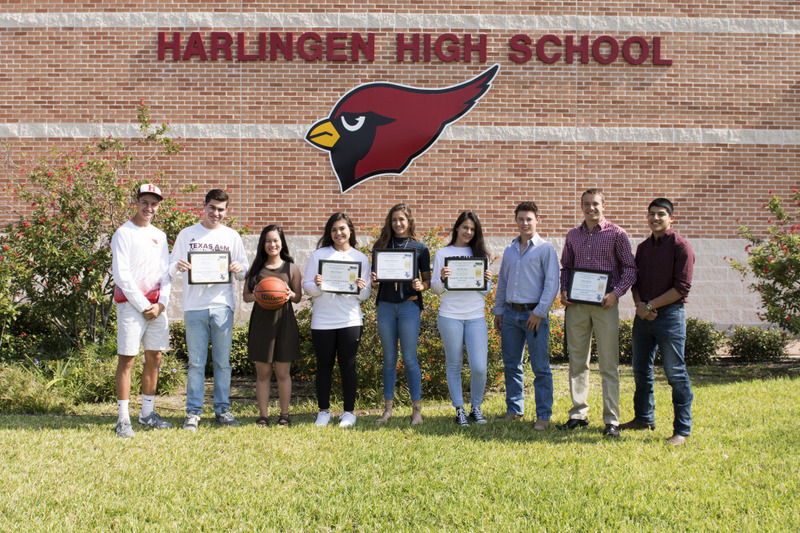 Harlingen High School student-athletes were recently recognized for their outstanding academic and athletic performances. The Texas High School Coaches Association and Coaches Education Foundation (THSCA) named nine Cardinal athletes to the 2016- 2017 Academic All-State Team. For football, Logan Garza and Kenneth Reininger received Honorable Mention and Samuel Duffy received 1st Team recognition. For basketball, Skylar Macias and Mia Olivares received Honorable Mention and Jared Gover and Janeellei Vergara received 2nd Team recognitions. For track, Devan Rosas received Honorable Mention and Juliana Guerrero received 1st Team recognition. Congratulations Logan Garza. We are very proud of you and your accomplishments. From The Lucio Family.